Although a highly popular phytoestrogen, soy can cause allergic reactions in sensitive women and isn’t good for everyone. It’s important to know the difference between ‘good’ and ‘bad’ soy products for your health’s sake. Is Soy Safe For Breast Cancer Patients? Many women do find phytoestrogens helpful at menopause, but if you are a frequent user of soy products then here is a caution for you and some good advice on the healthiest form of soy to include in your diet. Soy is certainly promoted as being helpful to women because of its oestrogenic qualities and besides all the standard soy yoghurts and milks it appears as an ingredient in many other products. It can be found listed as yeast extract, soy protein, soybean oil, soy lecithin and soy flour. Despite its popularity, soy is one of the top eight allergens that can cause immediate reactions such as coughing, sneezing, runny nose, hives, diarrhoea, difficulty swallowing and in extreme cases even anaphylactic shock. As well as an immediate effect there can also be delayed allergic responses that can occur several hours to several days after the food is eaten. It is not necessarily the fault of the soy itself, but soy plants are sensitive to weather, insects, and other plants so to combat this they have been genetically modified to become resistant and are regularly sprayed with herbicides and pesticides. Many of the chemicals used have been banned in several countries for their known risk to human and animal health, but they continue to be used in North America. Another problem is that in order to make it more appealing to the taste many manufacturers have added sweeteners, emulsifiers and synthetic nutrients to soy protein isolate (the key ingredient in most soy foods that imitate meat and dairy products) which is widely regarded as a health food. However the reality can be rather different as the risks of consuming unfermented soy products seem to greatly outweigh any possible benefits. There are certainly many studies (evidenced by Dr. Kaayla Daniel, author of The Whole Soy Story) that demonstrate a link between soy and malnutrition, digestive distress, immune-system breakdown, thyroid dysfunction, cognitive decline, reproductive disorders and infertility, dangers in pregnancy and infant abnormalities. The major issue is that certainly in the USA at least 91 percent of soy grown is genetically modified (GM) which has been linked to an increase in allergies. Indeed, the only published human feeding study on GM foods ever conducted verified that the gene inserted into GM soy transfers into the DNA of our gut bacteria and continues to function. This means that years after you stop eating GM soy, you may still have a potentially allergenic protein continuously being produced in your intestines. Perhaps of even greater concern is recent Russian research which has demonstrated the potential for GM soy to cause infertility in future generations. Soy contains natural toxins known as “anti-nutrients” comprised of such factors as saponins, soyatoxin, phytates, protease inhibitors, oxalates, goitrogens and oestrogens. Some of these factors interfere with the enzymes you need to digest protein and while a small amount of anti-nutrients would not likely cause a problem, if you are regularly consuming large amounts of soy products then you are increasing your risk factors. Soy contains genistein and daidzeinm which are isoflavones (a type of phytoestrogen) and these compounds mimic and sometimes block oestrogen, and have been found to have adverse effects on various human tissues. Soy phytoestrogens in large quantities are known to disrupt endocrine function, and may promote breast cancer in women. Drinking even two glasses of soy milk daily for one month may provide enough of these compounds to alter the menstrual cycle. Soy also contains goitrogens, substances that block the synthesis of thyroid hormones and interfere with iodine metabolism, thereby interfering with your thyroid function. Thyroid issues are common at menopause so if you are a heavy soy user you will be affecting any medication as well the function of the gland itself. You don’t actually need to avoid soy altogether, it is as with all dietary things to be taken in moderation. If you do feel you may have a problem, then what you have to make sure of is that you look at reducing non-fermented soy from your diet, which is the type that you will find in processed foods and in tofu, TVP and soymilk. What you need to buy, and look for, is fermented soy because after a long fermentation process, the phytate (which blocks your body’s uptake of essential minerals) and anti-nutrient levels of soybeans are reduced, and their beneficial properties become available to your digestive system. Traditionally fermented soy is the form that has been very popular in many Asian cultures for centuries, and numerous studies suggest it aids in preventing and reducing a variety of diseases including certain forms of heart disease and cancers. Such foods include soy sauce, Japanese miso, fermented black soybeans, fermented tofu and ant – a traditional Japanese food made from soybeans fermented with Bacillus subtilis var. One of the main benefits of fermented soy, especially natto, is that it is the best food source of vitamin K2. Vitamin K2 is essential to preventing osteoporosis, cardiovascular disease, and diseases of the brain such as dementia, and protecting you from risk of some cancers. Phytoestrogens can be very helpful at menopause but choose your source wisely and in moderation. 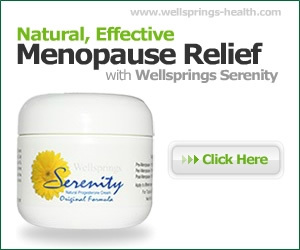 You can obtain them from your food or a specialist supplement for women at menopause, many of which do have supplemental soy as one of their ingredients. In such formulas they are a very small amount and pose no risk, unlike the high amounts found in food.